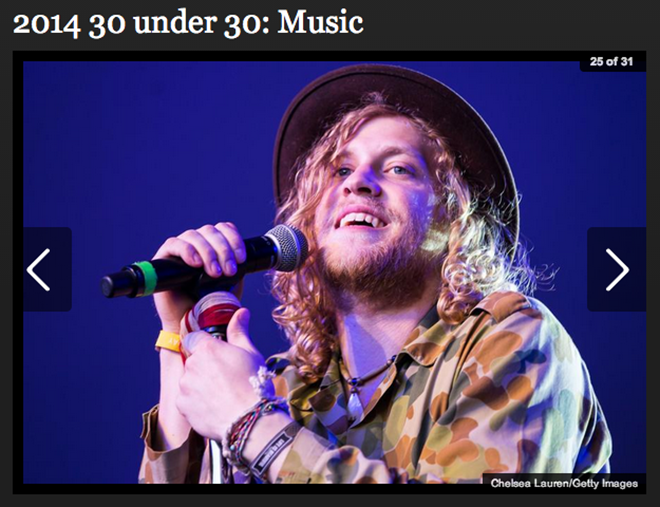 We’ve been documenting Allen Stone’s rise to superstardom since the Chewelah native’s sophomore album shot to No. 2 on the iTunes R&B/Soul charts and he made his first appearance on late night TV in 2011. Since then he’s only gotten bigger and we’re not the only ones recognizing it. He’s since earned a record deal with ATO Records and this year Forbes included Stone on its 30 under 30 list among music heavyweights like Bruno Mars, Miley Cyrus, Avicii and Justin Bieber. The singer-songwriter with disheveled blonde locks and thick-rimmed glasses has even been likened to Marvin Gaye, Stevie Wonder and Bill Withers, soulfully crooning socially conscious songs and trying to change the world with his guitar. Stone will be heading to Australia for a week this April, making stops in Sydney, Melbourne and Brisbane, but you superfans can catch him stateside at Phoenix’s McDowell Mountain Music Festival in March. We can expect a new album from him later this year, but if you just can’t wait, he’s been documenting the making of this next CD on his YouTube channel with behind the scenes footage from his studio in Brooklyn. UPDATE: Some readers pointed out that Ryan Lewis is also on the list, and you can read all about his Spokane roots in our cover story.